Francisco Sanchi and Martin Bentancor, duly remained unbeaten to secure first places in their respective groups on the first day of play, Sunday 18th June, in the Boys’ Singles event at the 2017 Argentina Junior and Cadet Open. Places in the main draw were thus reserved as expected; Francisco Sanchi was the no.2 seed, Martin Bentancor, the no.11 seed. Top spot for Francisco Sanchi meant a direct entry to round two; for Martin Bentancor he was required to compete in the opening round. He responded, he beat Brazil’s Sergio Bignardi in six games (13-11, 11-1, 11-8, 11-2). However, the Argentine players to catch the eye were Luciano Alto and Santiago Lorenzo. No current world ranking, Luciano Alto, only 14 years old, remained unbeaten to top his group; the notable win being in his very first match of the day when he accounted for colleague, Matias de Vincenzo, the no.11 seed (11-6, 5-11, 11-6, 14-16, 11-7). A fine effort from Luciano Alto; it was the same from Santiago Lorenzo. Beaten by Brazil’s Carlos Ishida, the no.7 seed, in the group stage by the very narrowest of margins (11-3, 6-11, 11-6, 9-11, 11-9), second place was his lot. Most importantly it meant a place in the main draw; it was at that stage he exceeded all expectations. He beat Chile’s Nicolas Burgos, the no.8 seed, in an equally dramatic contest (11-5, 11-13, 11-6, 11-9, 9-11, 10-12, 11-9) to reserve his place in the second round. Undoubtedly, Nicolas Burgos appeared amongst the names of those with the possibility of gaining a place on the podium, earlier in the year he had secured his place in the Buenos Aires 2018 Youth Olympic Games by emerging successful at the Latin American Continental Qualification Tournament in the Dominican Republic. Surprises and there were three more surprise first places as the group stage concluded. Against expectations Chile’s Jorge Paredes, Peru’s Rodrigo Hidalgo and the Dominican Republic’s Mariano Lockward topped their respective groups. 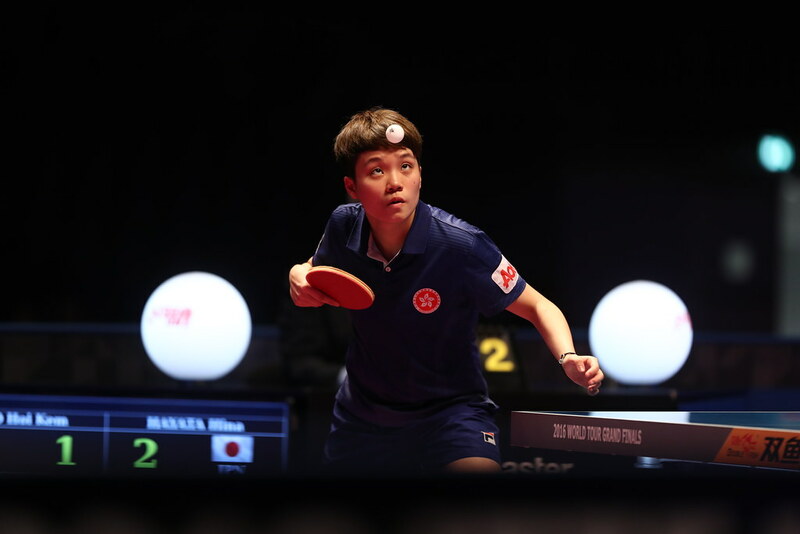 Unexpected outcomes but not amongst the elite names; in addition to Francisco Sanchi, the United States trio of Kanak Jha, Victor Liu and Sharon Alguetti all ended the day without defeat and gained direct entries to the second round. Play in the Boys’ Singles event at the 2017 Argentina Junior Open concludes on Monday 19th June.